We are excited to bring you the news that Legacy of Discord - Furious Wings is one step closer to being globally launched on Columbus Day! The developers of game have prepared special GIFTS for this glorious occasion to thank our fans for your unwavering dedication. Starting from the 12th of October till the 15th, you can login and win great prizes! Ever since the game’s closed beta, Legacy of Discord has been a favorite among avid mobile RPG players. The game was rated the ‘best MMO action RPG designed for mobile’ for its stunning graphics, exhilarating game play and nail-biting action. We are dedicated to the exploration, innovation and globalization games, and its global launch is right around the corner! 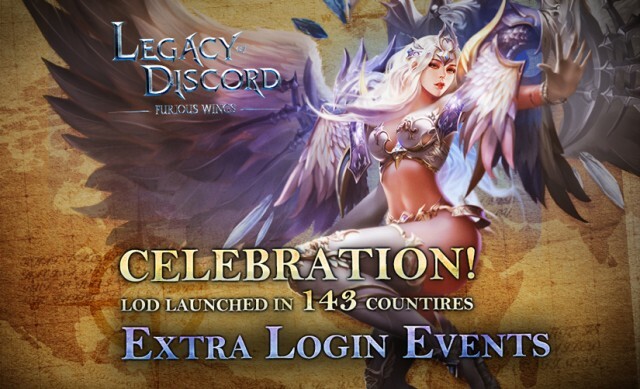 Check the following list for official launched areas of Legacy of Discord – Furious Wings! We wants to thank all their fans! The developer team is learning and improving. Stay tuned for more details!